Congratulations to Stuart Tan for the coming launch of his new book “Secrets of Internet Millionaires”! Being an internet marketing expert, he is definitely the right person to share his expertise for anyone who wants to succeed in his or her online business. How online millionaires make their income working 16 hrs a week. A step-by-step process of building your online business. How to set up a website in less than a day and people start buying from you. Why intellectual property is the next big thing for businesses everywhere. How anybody can create valuable intellectual property even if you have no expertise yourself. How a popular hobby called ‘blogging’ turned three astute individuals into internet millionaires within a year. Secrets of Internet Millionaires is already on sale in all major bookstores. 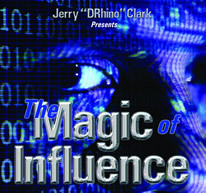 Pick up your copy and start your journey to internet online success!